Niutu Umachii features the Eisa Group of Sonda district Youth Association. Niutu Umachii concert is a free event seeking to take the audience to the roots of Okinawan Music with a lineup of local artists gathering to Koza Music Town on Oct. 23 for an evening extravaganza of traditional Okinawan Eisa, folk songs and pop music. Niutu Umachii is a brainchild of Rinken Teruya, the leader and producer of one of the most popular groups on the island, Rinken Band. Members of the Okinawa City Association of Performing Arts Organizations perform the classical part of the Niutu Umachii event. Ryukyu music has its roots in the islands, pulling together the power of nature and spirituality of ancestors. The shamanic world is still alive here, and there are rituals of agriculture and fishing, in which people pray for fertility and peace that give their lives the rhythm of Hare and Ke, the unusual and the usual. They are considered the keys to gaining tranquility and a well-grounded life on the island. 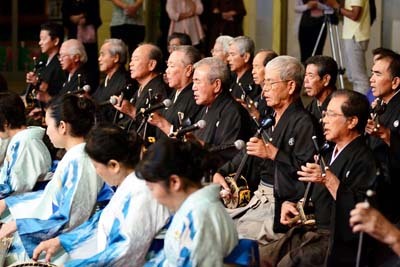 The Ryukyu interpretation of music brings Niutu, the root music, together to sing songs of joy, reunion and togetherness. 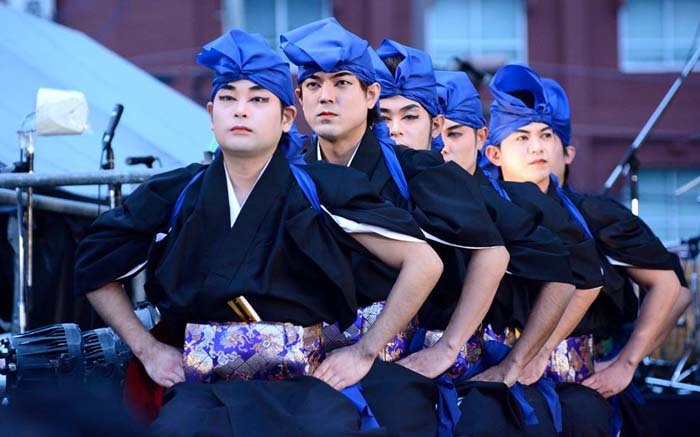 The program consists of performances by Rinken Band, several Okinawan folksong artists and groups from Okinawa City Association of performing arts. Awase Chondaraa and Sonda Eisa groups perform eisa. The Ni-utu Umachii concert takes place on Oct. 23, starting at 17:00. The concert closes at 21:00. The event venue is on the third floor hall of the Koza Music Town Sound Market at 1-1-1, Uechi, Okinawa City. Admission to the event is free.